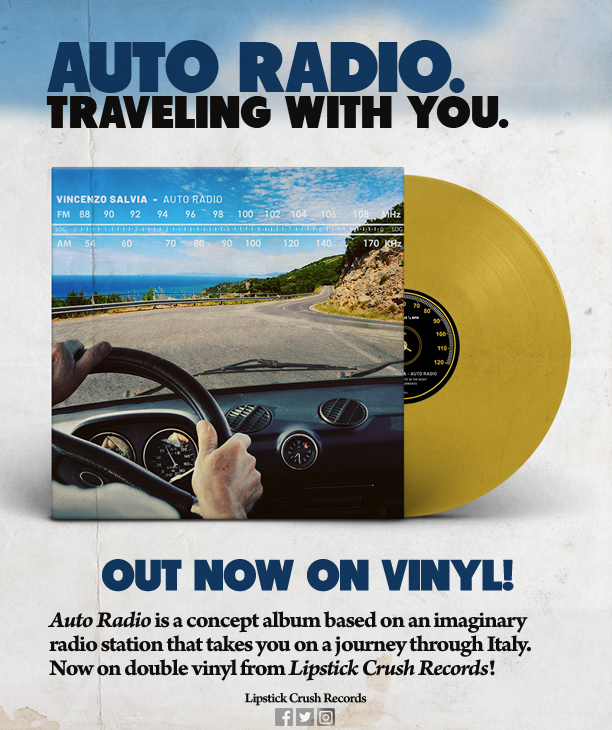 “Auto Radio” vinyls… behind the scenes! “Auto Radio” on double vinyl! Ladies and gentlemen, I proudly announce that my album “Auto Radio” will be finally available on a double vinyl for Lipstick Crush Records in two different colors. More infos soon 😉 Stay on these roads. Summer Sales! 50% 50% 50%! Ebbene si, rieccomi a suonare in giro per il mondo. 11 Luglio 2018 al Parco Tittoni a Desio (MB): "Dada Tittoni - Arts, performing & more". Ci sarà anche un po' di vapor con tuna display e l'evento è ad ingresso libero quindi niente scuse. Un abbraccione alla Tataki Records che ha organizzato tutto. Per … Continue reading L’11 Luglio si suona! “Weekend” is here! I know, it’s thursday… I mean my album! My latest album "Weekend" is finally out. 8 retro tracks for a Friday-Saturday-Sunday trip somewhere in time: 70s, 80s, funky, Italian movies, some 16 bit arcade mixed with a gentle fusion touch and Italo disco influences. And surprises never come alone! 40% off on the full discography on Bandcamp for a limited period! Synthwave Mix and Mastering Service.